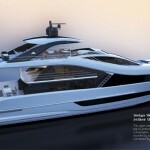 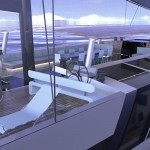 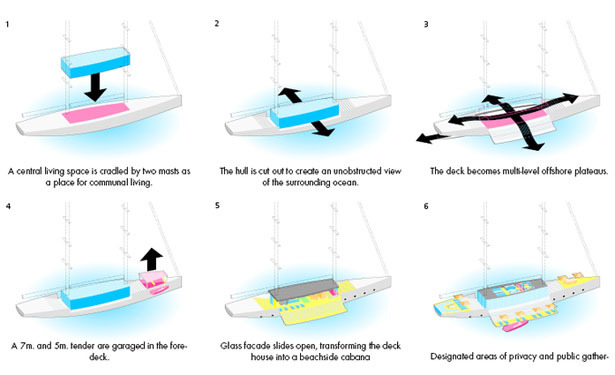 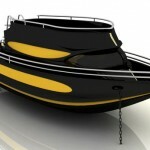 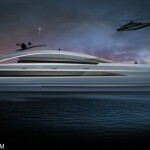 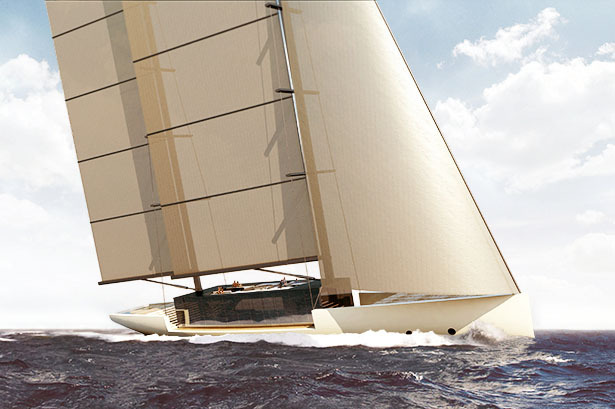 Lujac Desautel, the yacht designer of the iconic Glass concept yacht, has released his latest yacht design: Salt Yacht. 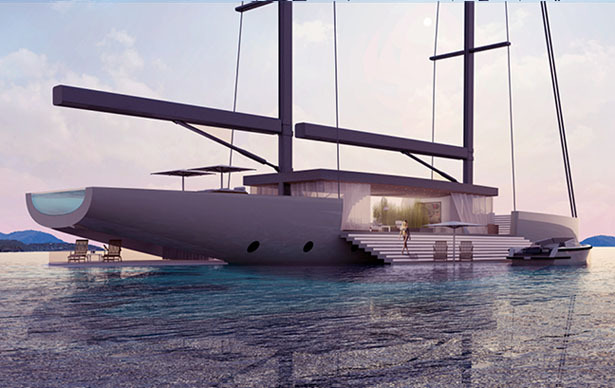 It’s a 55-meter concept yacht that offers pragmatic design, elegant, and clean energy use, turning these ideas into a magnificent floating architecture. 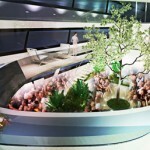 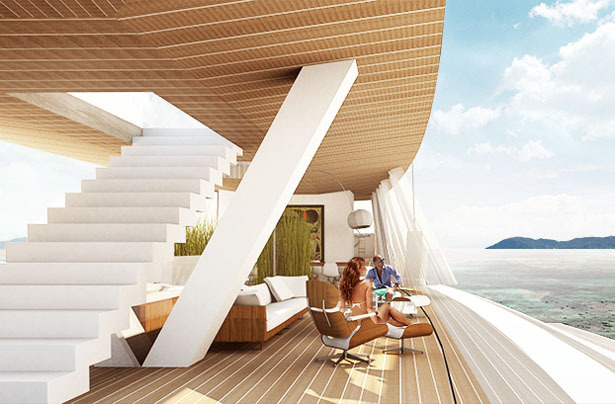 The open space design offers flexibility and easy lifestyle, passengers would be allowed to truly enjoy life aboard. 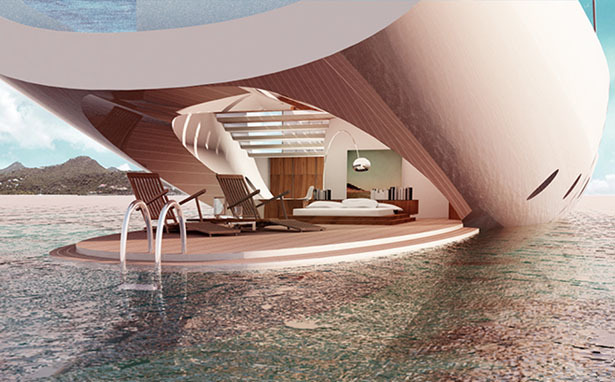 We really love how the steps fold down to water, they look like blend really well with the sea. 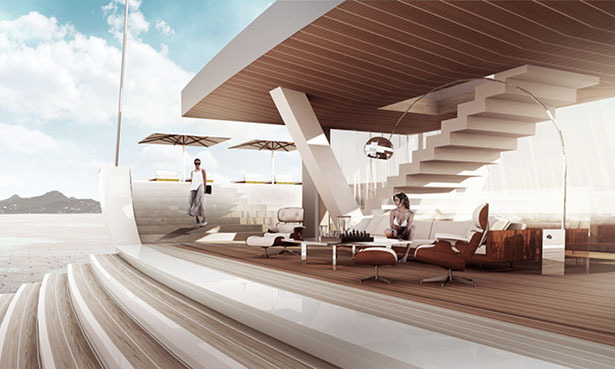 The Glass façade slides open to transform the deck house into a beachside cabana, so cool. 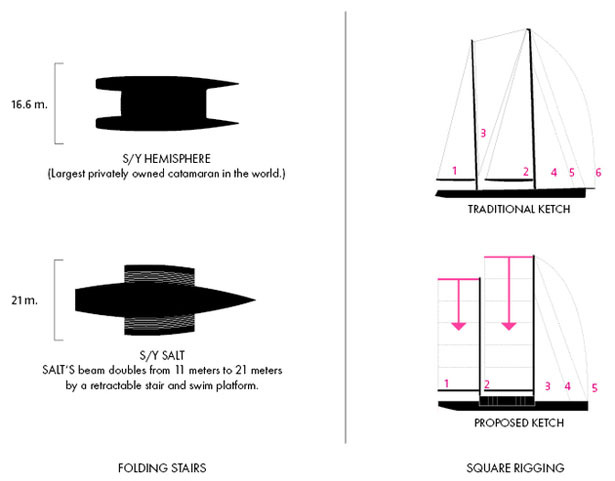 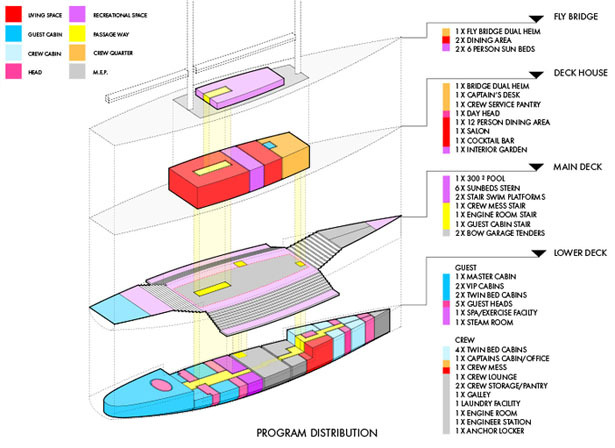 The central of living space is cradle by two masts as a place for communal living. 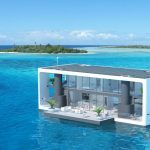 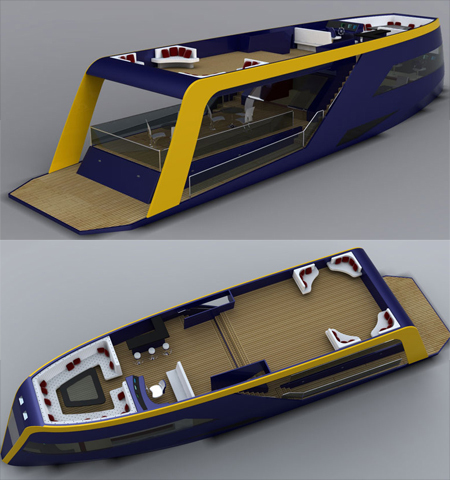 Tagged as architecture yacht design, glass facade yacht, modern yacht design, open space yacht interior design, yacht designer. 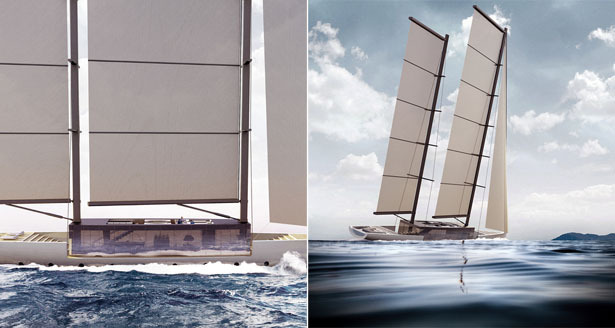 Id sail this, awesome idea, need midships space above deck more aero due to wind exposure & have mast head wind turbines trap wind for Power alone.